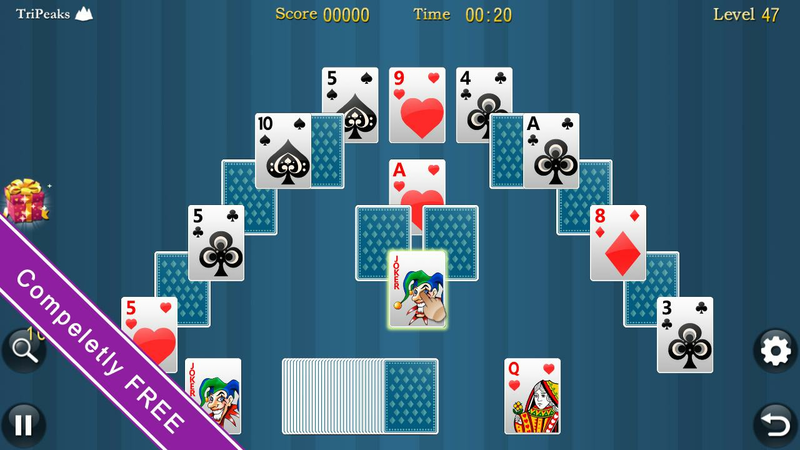 Solitaire is a classic free Klondike solitaire game.In thisKlondike solitaire game, We offer 4 kinds of backgrounds and fourkinds of porker cards for you to choose.If you like KlondikeSolitaire in classic desktop system, you're going to love ourgame!A variety of operational support: tap ,double-tap and drag& drop controls, choose your favorite mode ofoperation.Features:- Klondike Solitaire Draw 1 card- KlondikeSolitaire Draw 3 cards- skin change(card backs, backgrounds)-animated cards motion- statistics- unlimited undo- hint function-Support phones and tabletstry our solitaire poker card game rightnow!!! 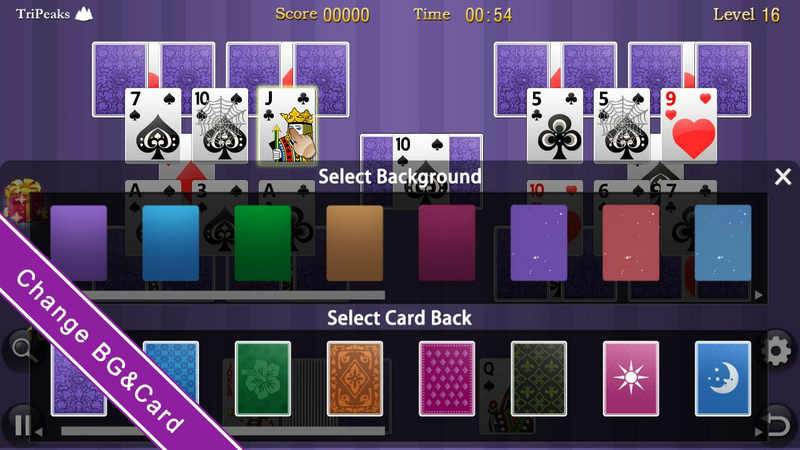 Spider Solitaire is a free HD game which use A to King pokercardsPlay our spider solitaire with HD images is truly solitaryexperience! 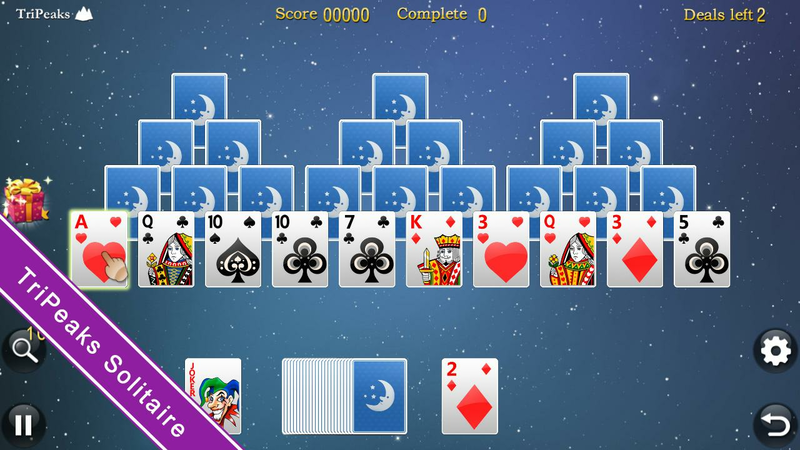 You can install our spider solitaire to you phone orSDcard for free. We work hard to make it simplicity,but this freecard game require patience.This spider solitaire game has 10columns and 8 suit of cards(A to King) on the table. It's a leisuresolitary game and worth your time. 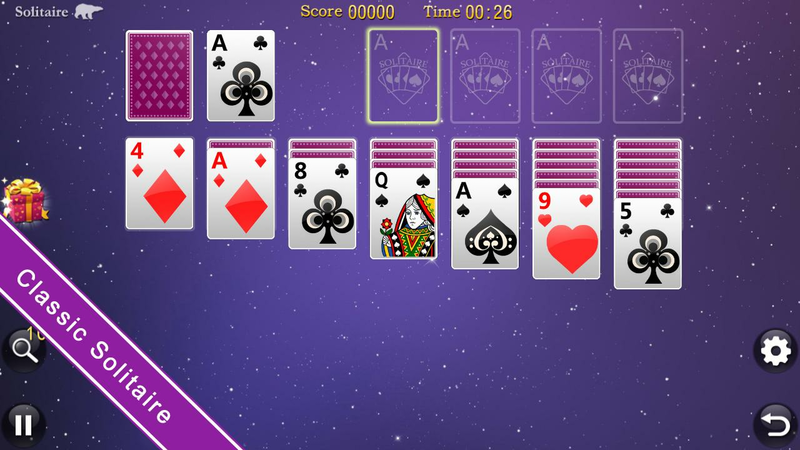 This HD game is similar to olddesktop classic spider solitaire which you play in the past. 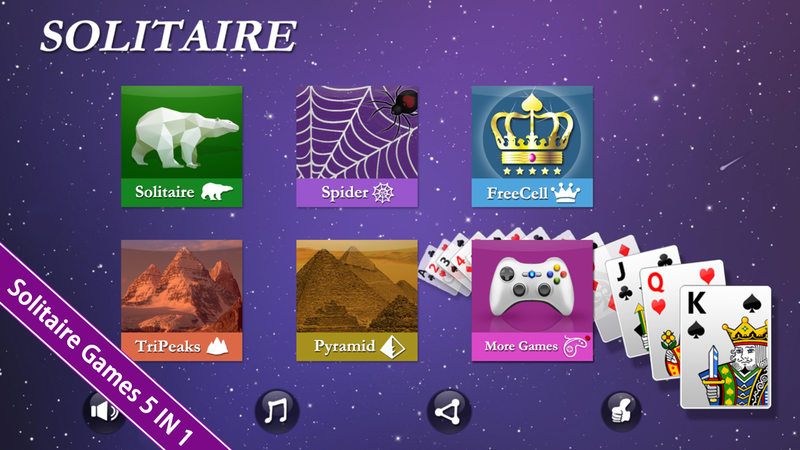 GAMEFEATURES:- 1 suit,- 2 suits (more difficulty)- 4 suits (mostdifficulty)- Unlimited undo- support drag & drop and tapcontrol- Landscape- free hint - HD images Hope you like our spidersolitaire!!! 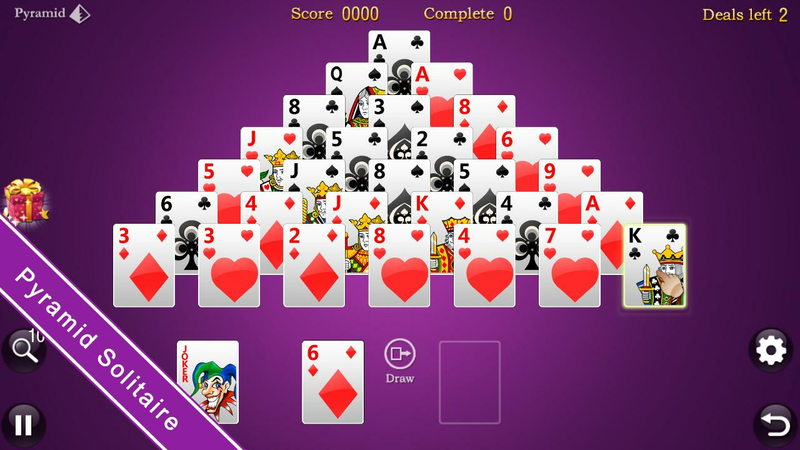 Free Cell Solitaire a popular game which was widely played in ageold days,is available in your pocket Smartphone now.The goal is tobuild up all cards on foundations from Ace to King by followingsuit. 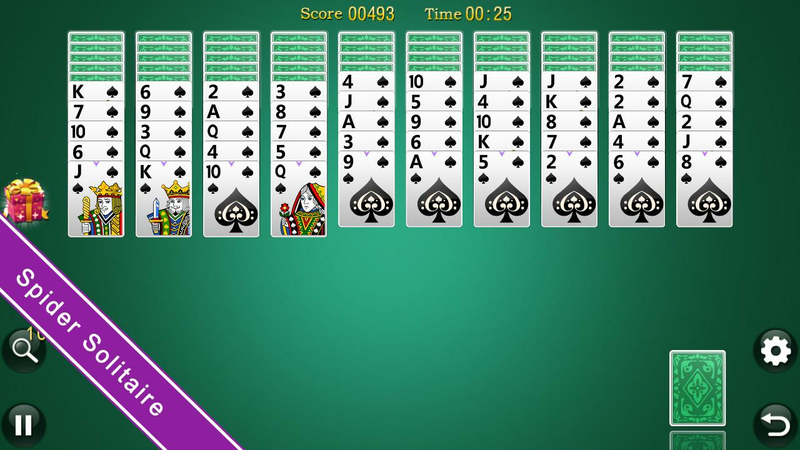 You win when all 52 cards are moved there, 13 to apile.Freecell is a one-deck Solitaire card game. All cards aredealt into 8 piles. 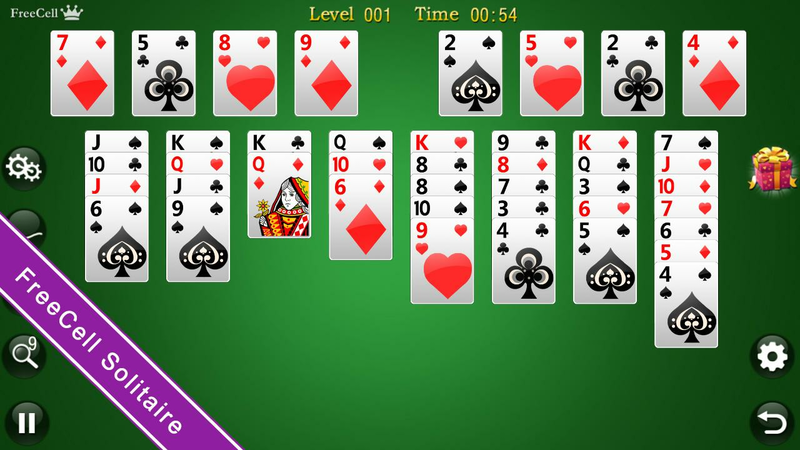 Four cells and four foundation piles are placedabove the board piles.But now, you will appreciate this revisitedFreecell game, adapted for the new generation of devices.Indeed,trying this original HD graphics Freecell will provide you hours offun on your phone and tablet alike!This Freecell will maybe remindyou of former experience you might have known in the past on somesystems.Playing Freecell is a good way to have a fun time whereveryou are with a gameFeatures of Freecell:- Statistics board- Fullcustomization (backgrounds and cards)- Auto-collect- change skins-sound effect - Unlimited undo - Phone and Tablet support- MoveAlert (impossible moves)Play it now ! It is time to become aFreecell master!